* Photo from last summer's family visit to Colorado. 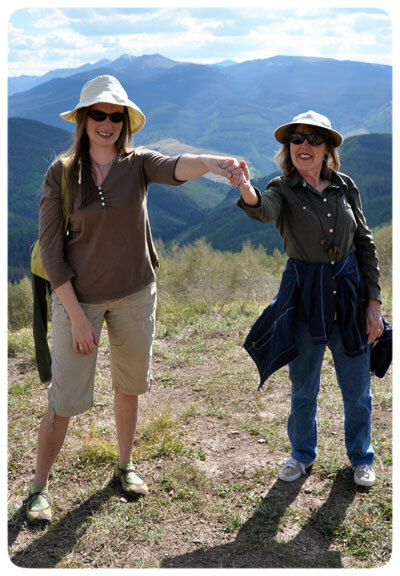 There, the two of us stand on the top of Vail Mountain, holding hands and swinging our arms back and forth. Fun times indeed!